Luisa Levi: You'd need a woman here. Carlo Levi: Yes, I would. But it's not easy. Luisa Levi: Come on, don't exaggerate. Don't tell me that here even finding a cleaning lady is impossible. Carlo Levi: Here a woman wouldn't go in the house of a single man. Just spending time together implies sleeping together. Luisa Levi: You can't be serious. Carlo Levi: Oh, yes I am. Christ Stopped at Eboli is one of the best movies by Rossi, loyal to his tradition of neorealism. The movie depicts isolated rural-peasant life as an account of an urban intellectual  doctor, painter and a political activist who has been exiled to this remote area due to his political dissent during the Fascist rule in Italy. 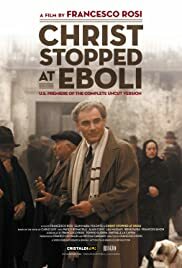 Not like similar movies in lenght, Crist Stopped at Eboli constantly absorbs audience, probably due to its realist description and selective representation of peasant life which is "frozen in time". The film pushes the audience to contemplate on philosophical aspects of the concept of time and it is heavily imbued with the display of social and political problems. Rosi beautifully describes the destitute of the peasant settlers of this remote and isolated land, their ignorance and apolitical life, the deep rift between these people and state, and the irrelevance of the quasi-comic "victories" of the Il Duce to these people among many other social and political issues. Like Rosi's other movies here again neorealist representation goes along with the combination of documentary techniques and fictional context. 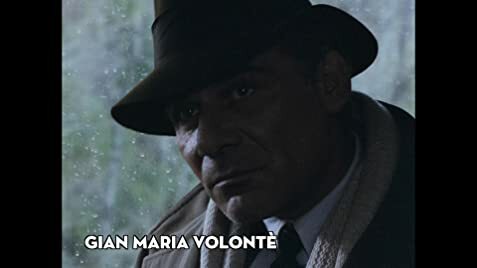 Rosi lets the images to speak for themselves rather than the Gian Maria Volente who is in the central role in the movie. In the movie (as it is in the book), the peasant life and urbanity are represented as two alien civilizations and antithesis of each other. These peasants have their own way of life, own customs, own aspirations and means of joy. What is going on Rome or the war in Abyssinia for "regaining the glory of the Rome" does not capture their interest. They are aware of the state through the taxes collected or men called for military service. In his letter, Levi describes the urban civilization as an antithesis of this peasant life which aspired throughout the history to "colonize" it. The Christ Stopped at Eboli also pushes the audience to ponder on the philosophical meaning of history, its relevance nature and meaning. It describes this peasant life as "frozen in history", cut from outside life and lacking the understanding of time that we have. History as we understand is the history of "urban civilization". As peasants are alien to this civilization they are alien to this concept of time as well. In the village you stop counting days, hours as they become more and more irrelevant, there you return and base your life on the natural cycle of life which is based on seasons. In this sense the movie challenges our notion of history which is the history of the "city". In this sense Christ Stopped at Eboli is very analogous to Y. K. Karaosmano&#287;lu's Yaban. Yaban is also the story of a Turkish intellectual war veteran who abandons amenities of Istanbul for the Central Anatolian village with the hope of finding his roots and alleviating the torments of his memoirs. However, to his disappointment he finds himself in an alien peasant "civilization" where he can not communicate to those people, can not be similar to them and can not understand their aspirations. What makes Yaban and Christ stopped at Eboli similar is their approach to dichotomous nature of human civilization and the concept of time. In both novels there is a representation of antagonist peasant and urban civilizations, and a relative concept of time. In both novels there is description of life which is "frozen in time" and alien to urbanity. Indeed the study of Yaban from this perspective can be insightful for the discussions of continuity and change in the History of Mediterranean, as Turkey is widely excluded from such studies. However when you read Christ stopped at Eboli and Yaban what strikes you first is the patterns of similarity in peasant life and experience of the intellectuals visiting these places. They can back both the universality of "two civilizations" argument and lounge duree approach in the Mediterranean area.